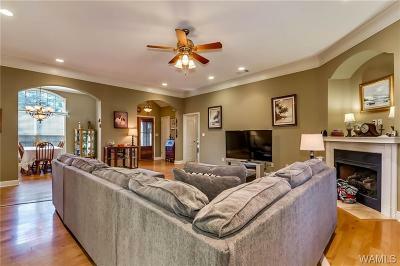 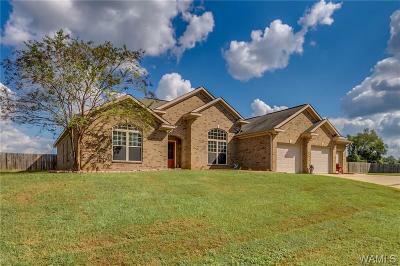 FANTASTIC HOME, WAS THE PARADE OF HOMES HOME IN THIS SUBDIVISION. 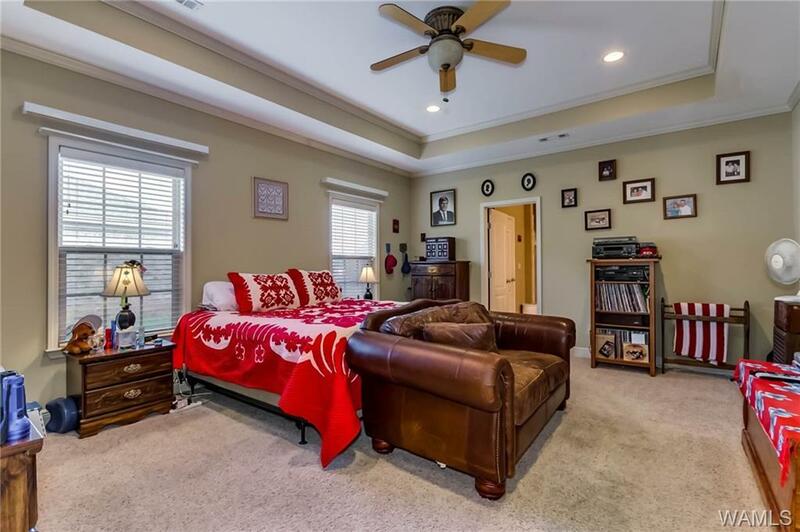 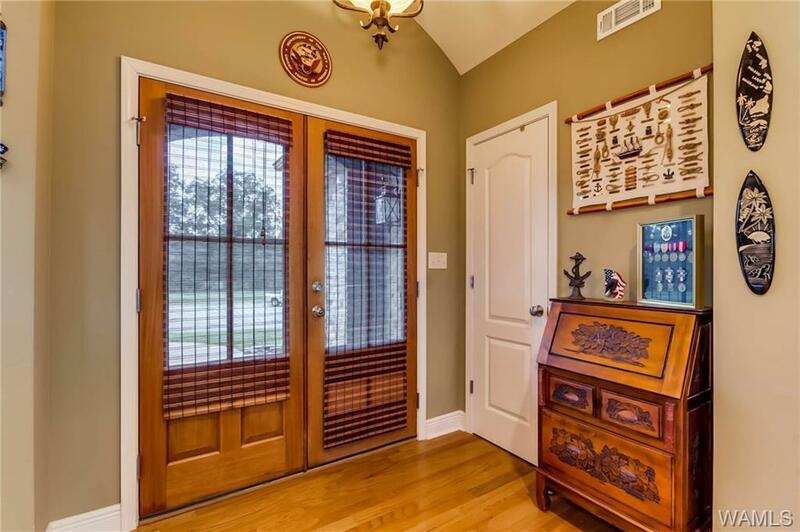 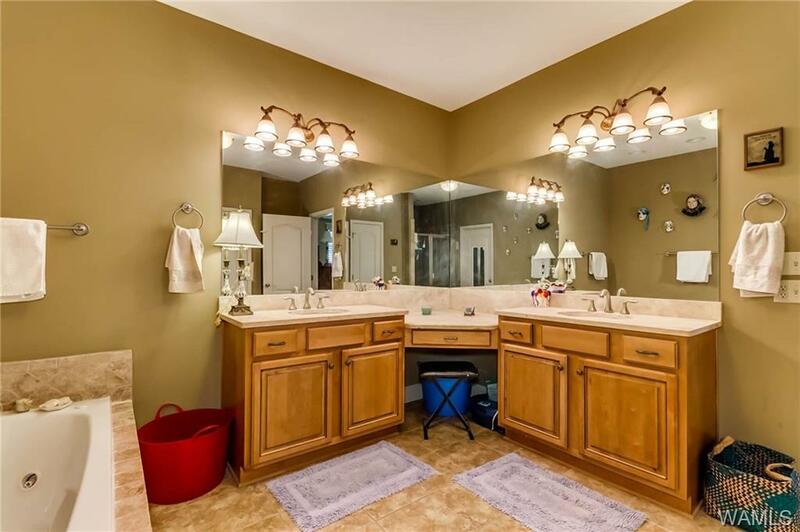 This wonderful home features 4 bdrms/3 bathS. 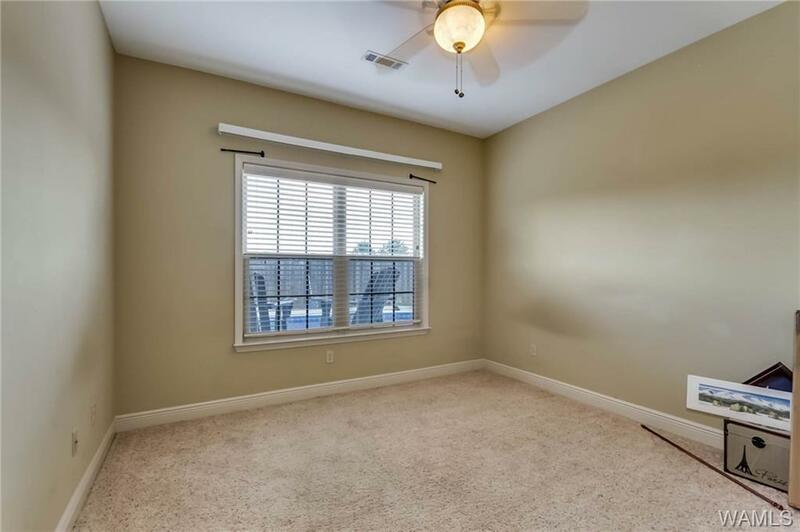 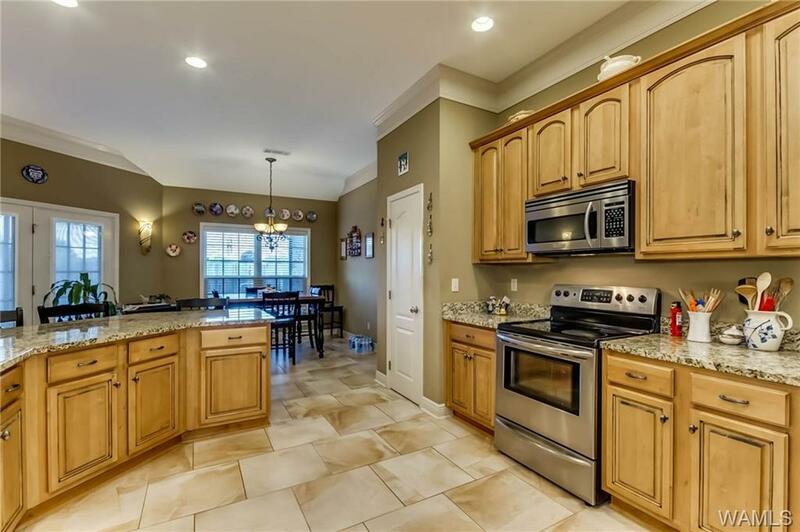 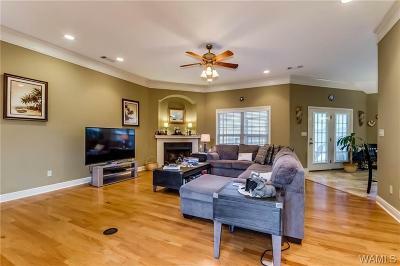 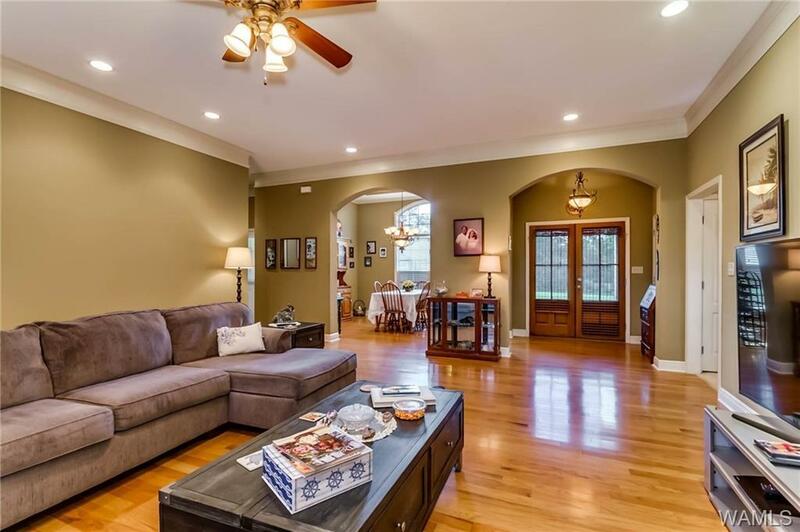 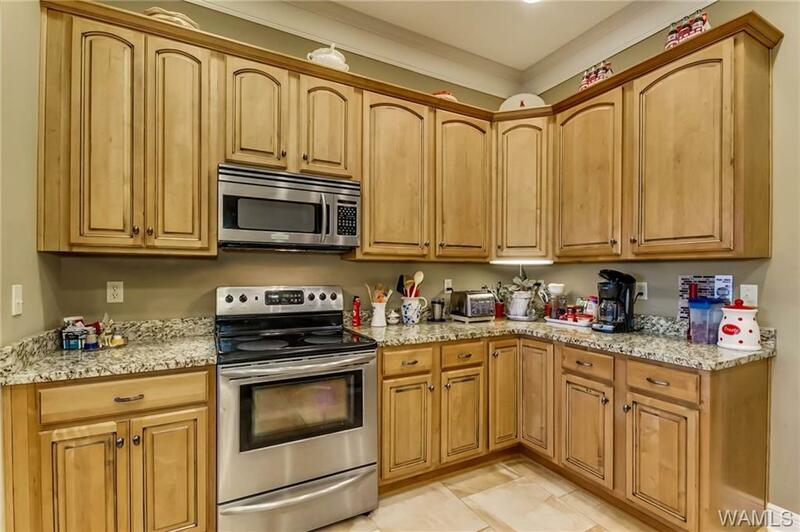 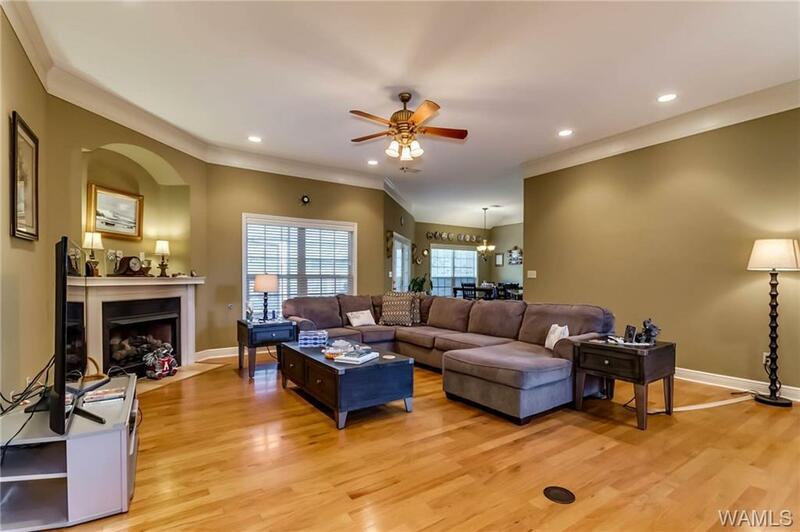 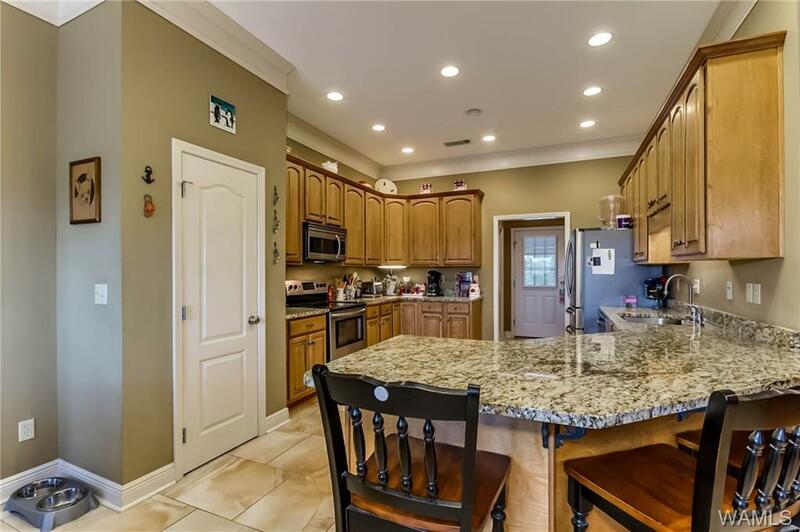 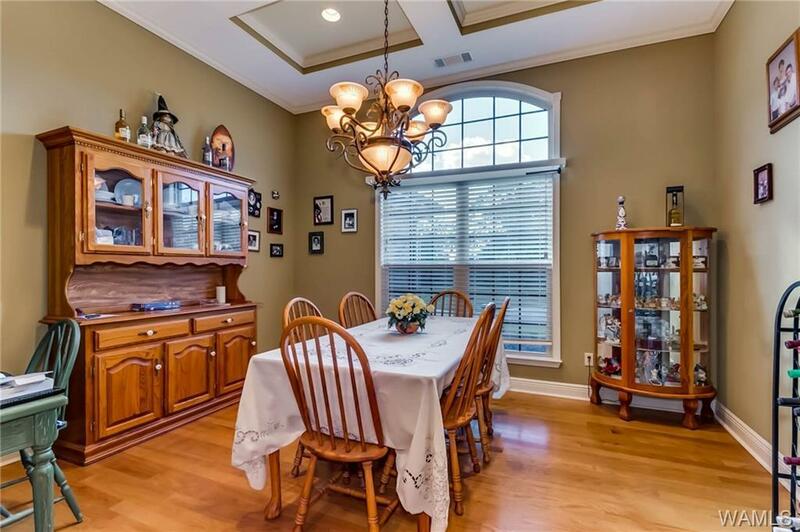 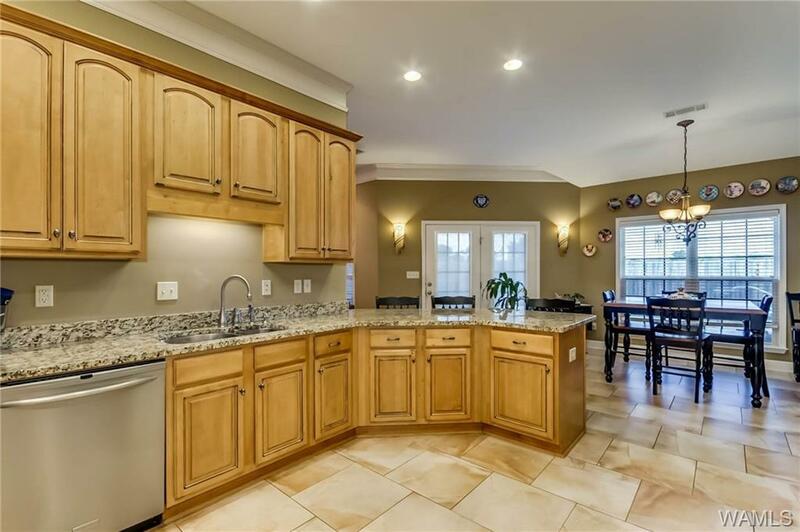 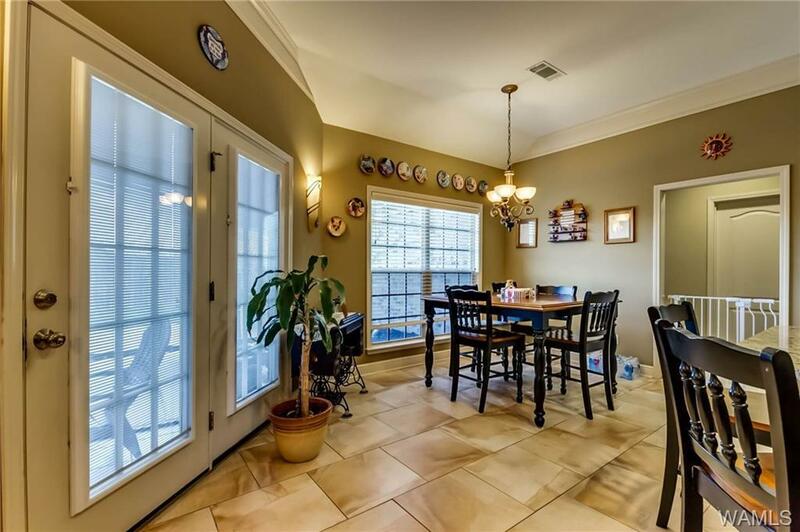 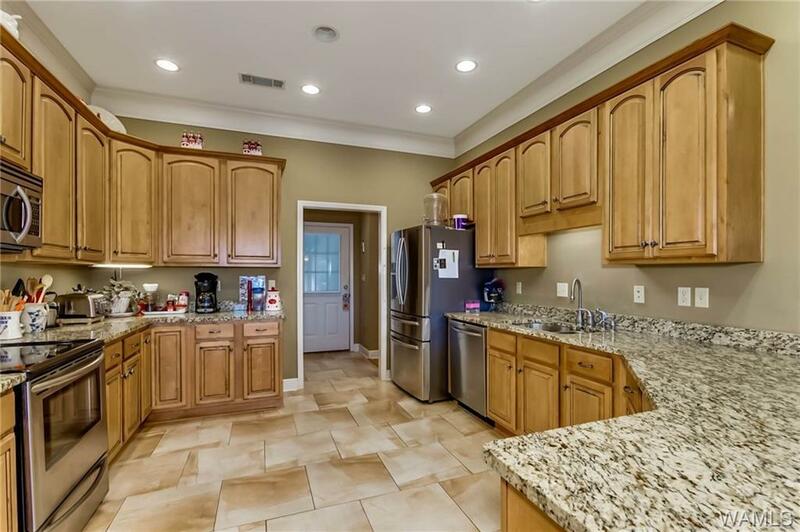 Large kitchen w/granite countertops, stainless appliances, hardwood flrs in foyer, formal dining room & den. 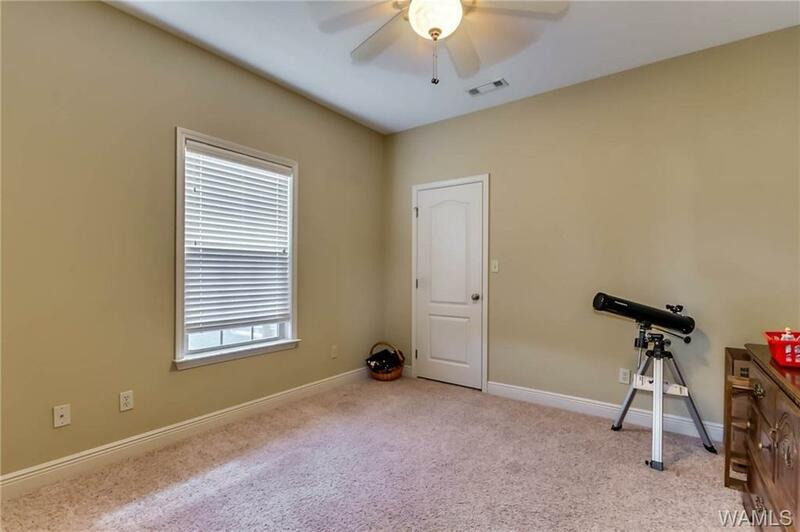 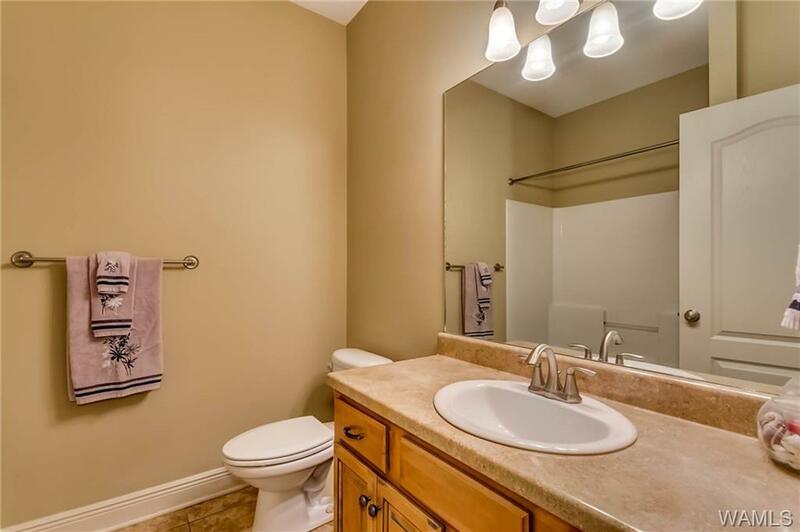 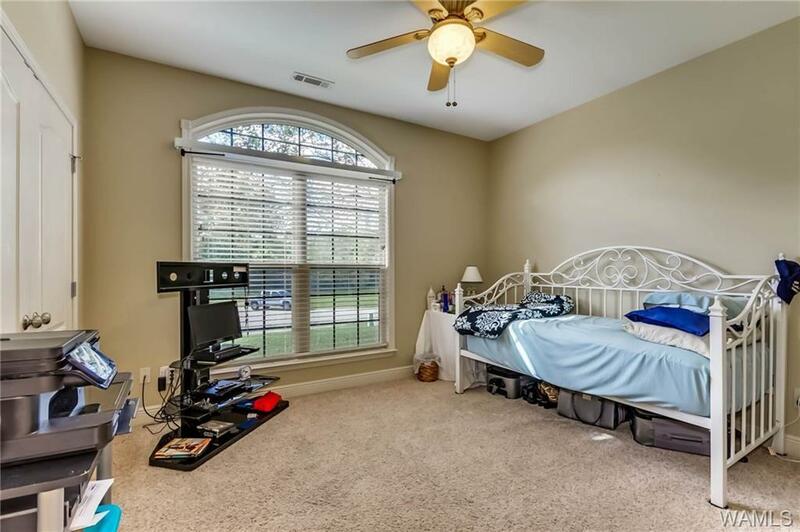 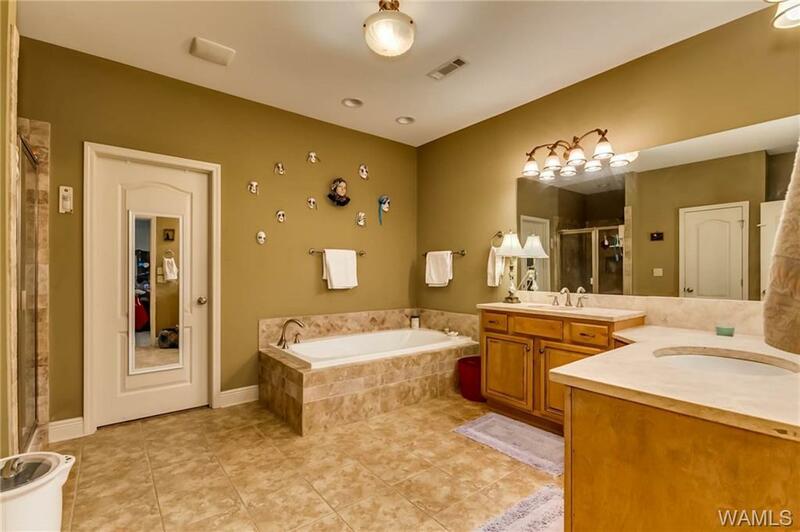 Master bathroom has whirlpool tub, ceramic shower, large vanity, and a H-U-G-E walk in closet. 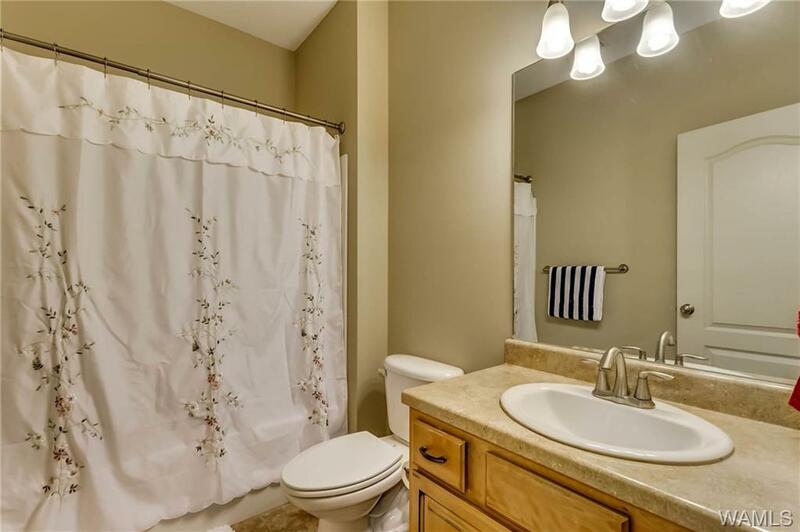 Has a electric AND gas hot wtr htr. 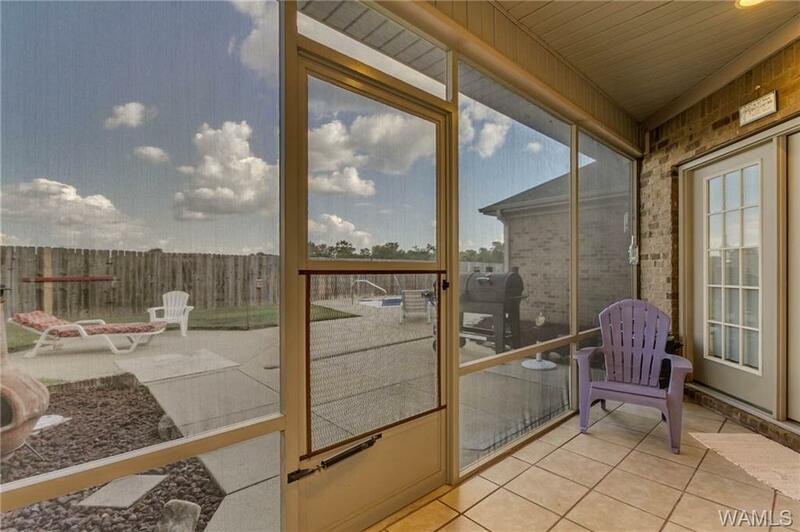 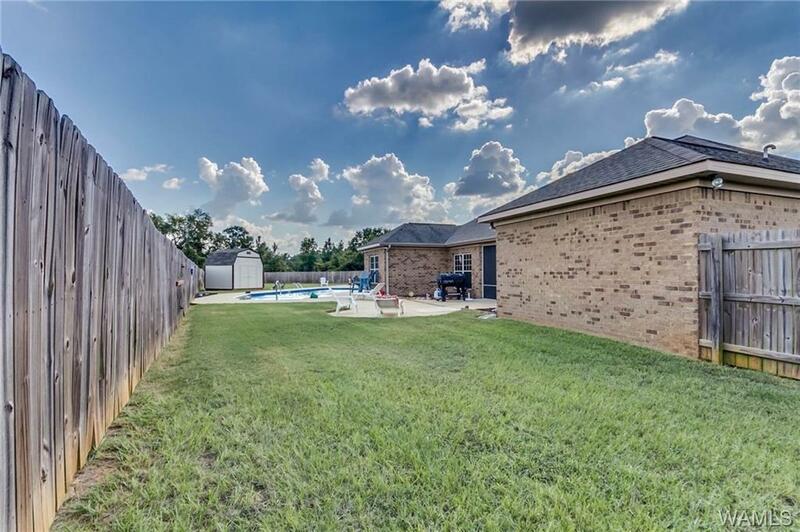 Backyard is beautiful w/ in-ground salt water pool that has a completely new liner, charming screened in patio, privacy fenced back yard, with double gates. 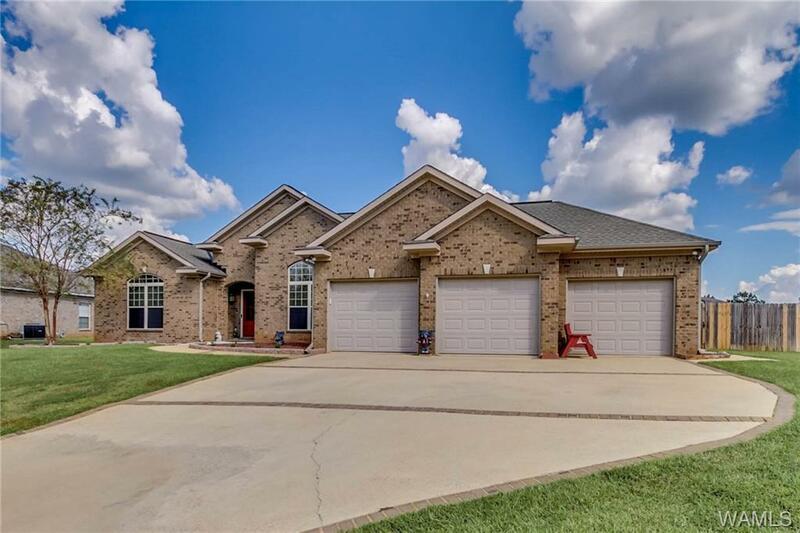 Only one of few homes in neighborhood to have 3 car garage. 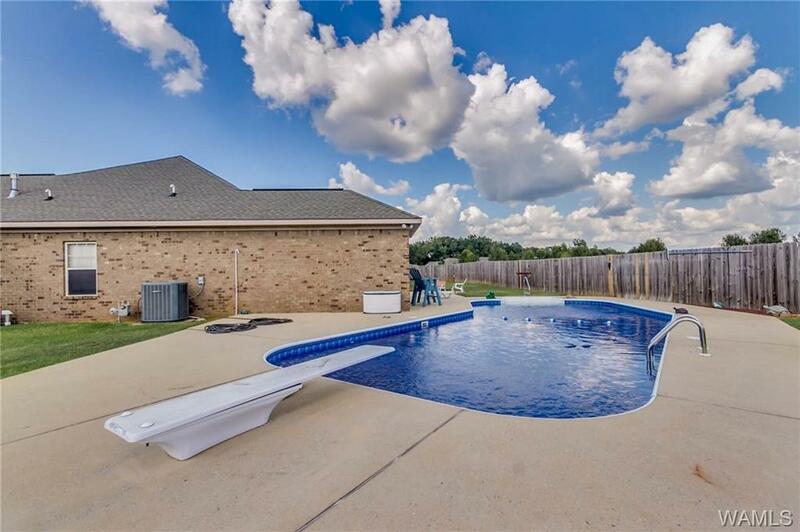 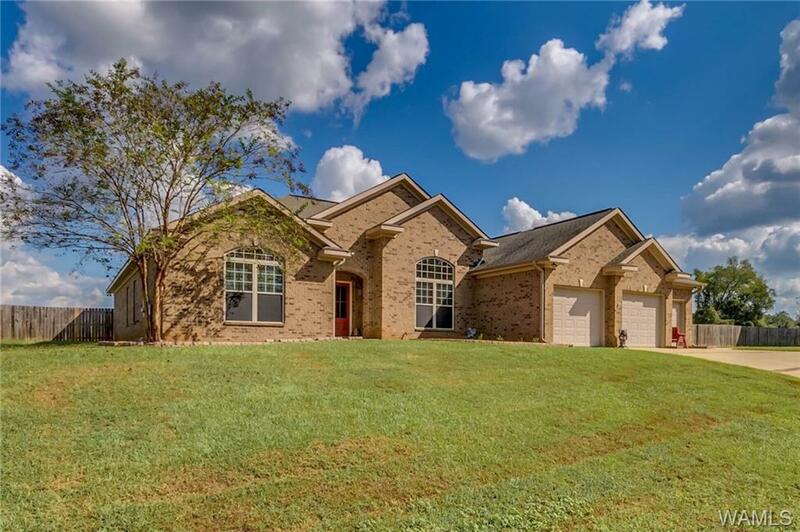 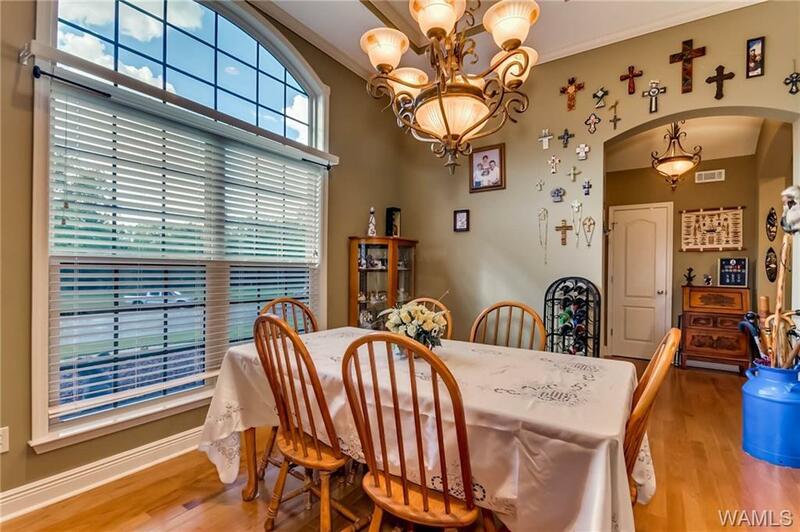 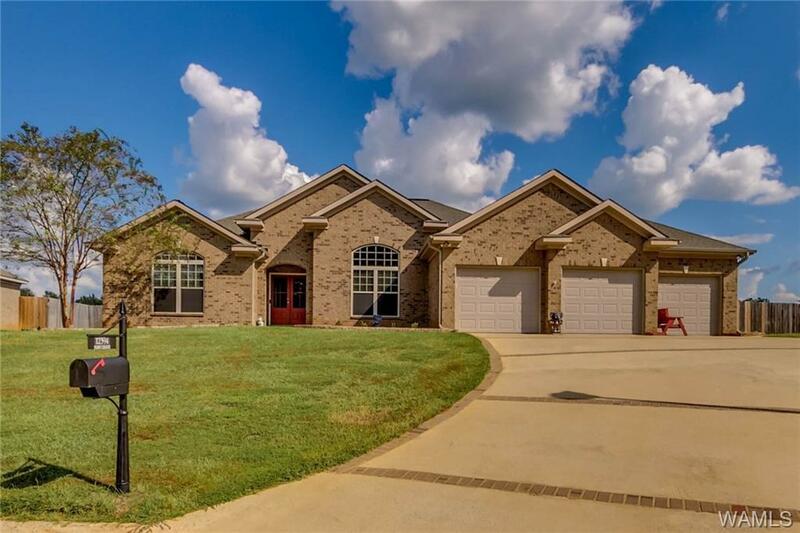 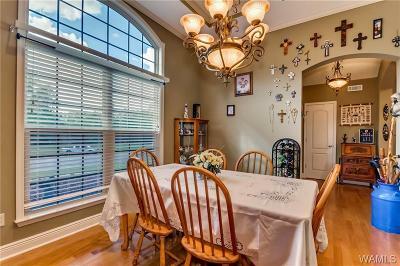 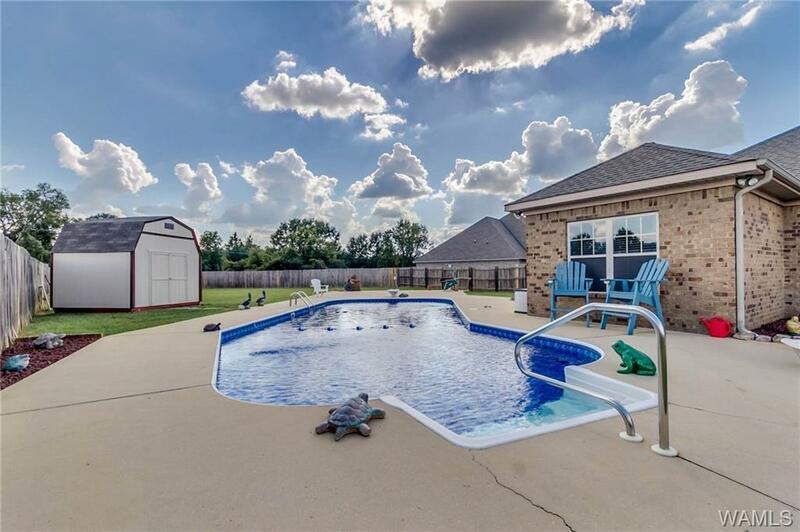 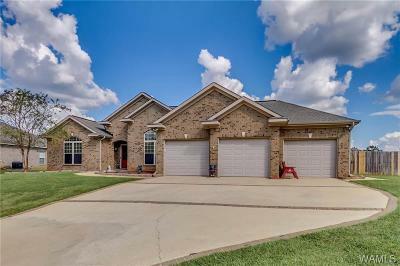 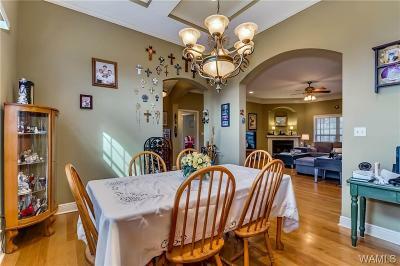 Home is in Tusc County, and actually zoned for both Tuscaloosa and Hale County schools. 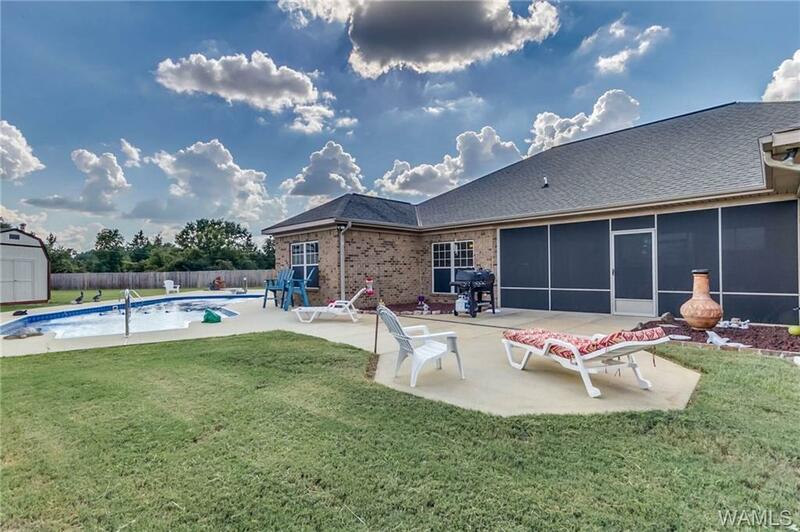 Owner built a stand alone building to house pool supplies, AND cover all pool equipment, pump etc. 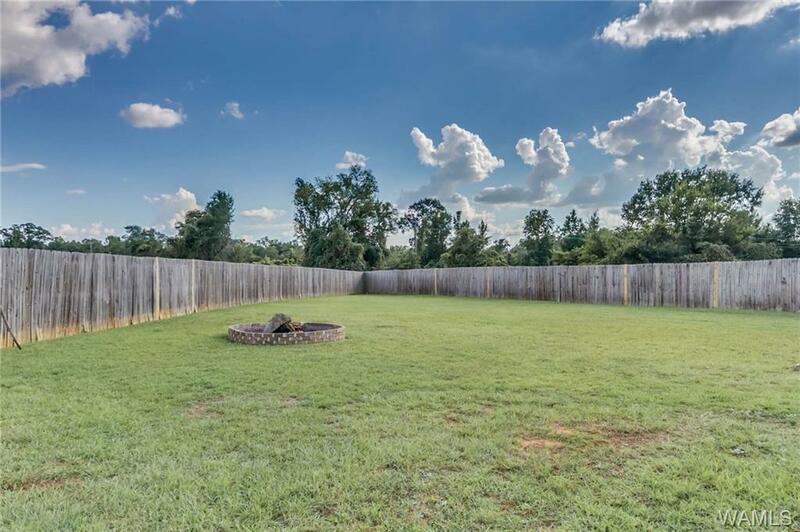 Very attractive fire pit in back yard. Directions: Take 69s, Turn Right Onto Cracker Asphalt Rd, Then Right Onto Cherokee Bend Pkwy, Then Left Onto Flint Dr, The House Is At The End Of The Road In The Cul-De-Sac.